We are searching for instructors to teach skills workshops (1 to 1.5 hr) at Mid-Atlantic Mod. We are hoping to fill 6 workshop teaching spots, depending upon interest from attendees. The class size will be 5 to 15 people. All instructors will be paid for workshops they teach on a per-student basis directly by students (instructors will be notified in advance of the number of students attending). Instructors may sell materials (e.g., supply kits, patterns, etc.) during their workshops, however they shall not require that students purchase materials from them (i.e., a materials fee shall not be required from students, although it may be offered as an option to students if they do not want to obtain their own materials). Instructors will be required to provide a complete supplies list by March 1, 2014. Attendees of the Mid-Atlantic Mod event are welcome to apply to be instructors for the event. 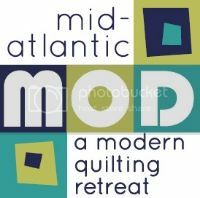 If you are interested in being an instructor for the Mid-Atlantic Mod retreat, please click on the Instructor Proposal Form link at the top of the page. If you have ideas for multiple workshop options, please complete the form separately for each workshop option you would like us to consider. Workshop proposals are due by November 30, 2013.